SavvyCard® for Real Estate provides every CVR MLS REALTOR® with a Progressive Web Application (PWA) for themselves and each of their listings to easily generate new leads for their business. Agent & Property SavvyCards are Progressive Web Apps automatically created for agents & their listings. They make it simple to generate business online through social networks. Central Virginia Regional Multiple Listing Service (CVR MLS) and SavvyCard®, a member of the CoreLogic® (NYSE: CLGX) Alliance Network, launched the SavvyCard for Real Estate consumer engagement platform this past Tuesday, March 5th. CVR MLS member REALTORS® receive SavvyCard for Real Estate accounts at no cost. 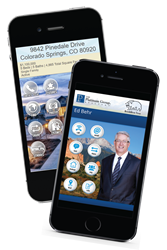 Realtors can use “SavvyCards” to provide value to consumers and generate leads by marketing their services and listings online through email, text, Google search, and social media. SavvyCards are progressive web apps created for both Realtors (Agent SavvyCards) and their listings (Property SavvyCards) by the SavvyCard for Real Estate platform using CVR MLS data. SavvyCard leverages the valuable relationships in a Realtor’s personal and professional contact network, and the contacts in their customers’ networks, as well. “SavvyCard is the best Real Estate tool I have. In fact, I am closing on a property this weekend because of it. I also love that it reports referrals back to me. This is how I got my last customer,” noted regular SavvyCard user Lee Childress, a Realtor with Premiere Homes Group.